Hey Guys! 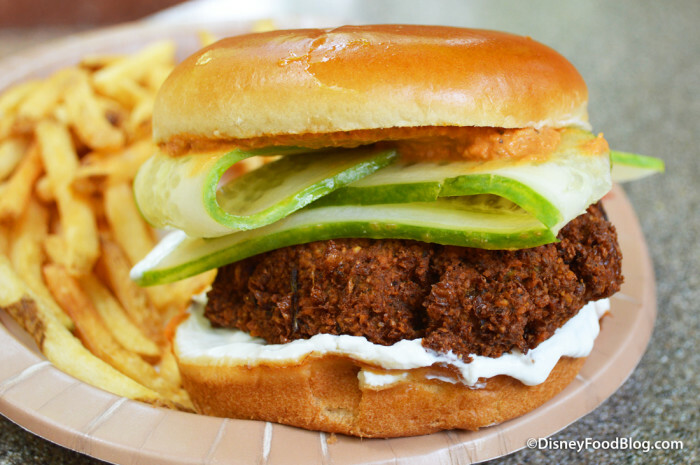 We’re back with another DFB Video today, and we’re sharing one by popular request: we’re talking about the BEST Disney World Restaurants for vegan and vegetarian fare! 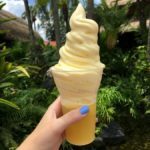 We are always thankful to our DFB Readers who send great tips and info from their own Disney dining experiences. But today’s video is especially a group effort, as our vegan and vegetarian friends have shared some of their favorite restaurants and dishes with us. And we, in turn, are sharing them with you in case you (or anyone in your traveling group) follow a vegan or vegetarian diet. There are plenty of options in the parks, but places on our list can be found in the Resorts or Disney Springs, too, ranging from Counter Service to Table Service. And, as a bonus, we’ll talk about some favorite snacks, too! So check out the video and then let us know: What are your favorite spots if you follow a vegan or vegetarian diet? Thanks for this video! There are many good places to eat as a vegetarian, you just need to do some research. And at many of the sit-down restaurants, I’ve found many of the chefs willing to work with you to make something vegetarian. For us, the most reliable table service restaurant at Epcot is Coral Reef. Their vegetarian entree is always great. Animal Kingdom is the other food mecca… there are a ton of great choices (as you outlined). Nothing much at all to speak of at Hollywood Studios, which is a big bummer. We know we’ll be eating subpar food if we’re there. Thanks for this great compilation. Many of our favorites here, plus a number of must-tries for our January trip. 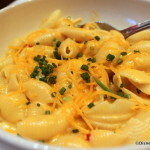 For those who can afford it, the best veg dining experience at Disney, IMO, is California Grill. Ask for the veg menu, and don’t miss the tofu truffle roll from the main menu. It is one of the most amazing things we have eaten anywhere, veg or otherwise. Book early as reservations fill fast. You can also keep checking to look for cancellations. Jenny — Yep; hoping Hollywood Studios really picks up in the next couple of years. Thanks for the video! I usually find good vegetarian options on my trips to Disney World. My tip is an interesting vegetarian dish at the Art of Animation food court. The Vegetarian Breakfast Sandwich seemed a bit odd for breakfast to me but it was quite good. My favorite vegetarian meal were the quinoa cakes at Whispering Canyon in the Wilderness Lodge. Even the meat eaters in my party all thought my meal was the best (and continue to remind me four years later!). Plus it is such a fun dining experience! I also enjoyed the vegetarian offering at Be Our Guest in the Magic Kingdom and would love to try the vegetarian lasagna at 50s Prime Time Cafe at Hollywood Studios as I love the dining experience there but was not a vegetarian at the time that I ate there and I’m so glad there is an option there if I ever have a chance to go back. Nicole, thanks for the info! I’m so glad there are more vegetarian options these days — and creative ones! 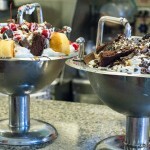 In addition to the restaurants you featured, another favorite of ours is Beaches & Cream at the Beach Club. We have had both vegetarian and vegan meals there. Over the years the veggie burger has gone back and forth between being vegetarian or vegan, so there isn’t always a vegan entree option, but as far as ice cream goes, this is the place to be if you’re vegan! 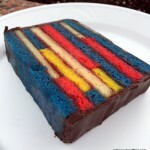 Our daughter has egg/dairy/soy allergies, so she can’t have Toffutti. Beaches and Cream, though — in addition to Toffutti — has Rice Dream and So Delicious coconut-based “ice creams”. They made our daughter an incredible sundae with oreos, chocolate sauce, and peanut butter sauce. 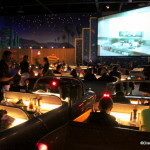 For us, it’s a must-do on every trip, and since Hollywood Studios has the fewest options for vegetarians and vegans, we will typically make a reservation for the day we’re visiting that park and take the short walk over to the Beach Club to eat here. Susan, thanks for sharing your experiences with Beaches and Cream!